The Battle of Seven Oaks National Historic Site of Canada is located in the urban setting of Winnipeg Manitoba, at the intersection of Main Street and Rupert's Land Boulevard. The Battle of Seven Oaks occured near this location, on June 19 1816, between a group of Métis and a group of Red River Settlers. 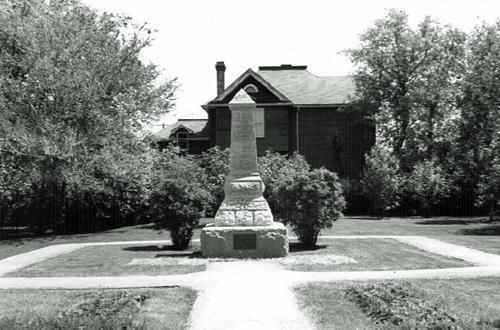 There are no known extant remains of the battle; however, in 1951, a plaque was put by the Historic Sites and Monuments Board of Canada on the monument erected by the Manitoba Historical Society near the 1816 site. The Battle of Seven Oaks took place on June 19, 1816 north of the forks of the Red and the Assiniboine Rivers. It was a violent encounter between a party of Métis led by Cuthbert Grant and a group of Hudson's Bay Company men and Selkirk settlers led by Governor Robert Semple. This battle was the culmination of a conflict between the Montréal-based North West Company and the London-based Hudson's Bay Company, for control of the fur trade in the Northwest. Furthering the conflict was Lord Selkirk's attempt to establish an agricultural colony at Red River, which the Métis saw as a threat to their traditional way of life. The battle began after negotiations over the pemmican supply failed, resulting in the deaths of Semple and 20 of his men. Grant, having suffered only one casualty, went on to take Fort Douglas and to expel the settlers from the region. Although the opposing companies would eventually merge, this event helped create a national consciousness for the Métis. BCATP Hangar No. 1 is a Second World War airplane storage and maintenance hangar located on the airfield at Brandon Municipal Airport. It is a monumental green flat-roofed cube with an immense central sliding door on its façade, and industrial-size multi-paned windows above low shed wings to each side. The heritage value of BCATP Hangar No. 1 resides in its association with the BCATP as a purpose-built type of structure, and in the continued integrity of its design, function, materials, technology, site, and setting as a representation of the "double landplane hangar." BCATP Hangar No. 1 is a "double landplane hangar" designed by the Construction Engineering Branch of the Royal Canadian Air Force during World War II. It was built in 1940-41 as the first of 701 standard plan hangars (of minimally varying sizes, configurations and materials), constructed under the BCATP to support the training of aircrews from Canada and the Commonwealth. 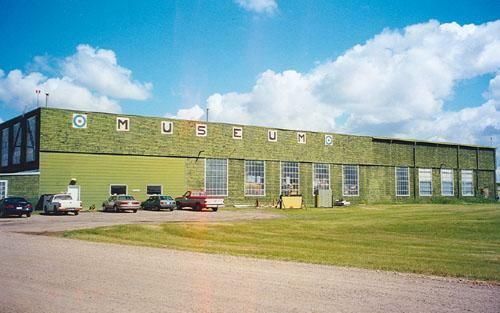 It has been refurbished since 1987 to repair its roofs, truss system, and east side windows, and today houses the BCATP Museum at Brandon Airport. Brockinton National Historic Site of Canada is a stratified archaeological site located on the east bank of the Souris River, near Melita, Manitoba. Located on a steep slope between the flood plain and the prairie the site consists of a thin crescent-shaped strip of low-lying land that has yielded evidence of three distinct periods of occupation, dating from 800 to 1650 A.D. The landward side of the site is wooded. 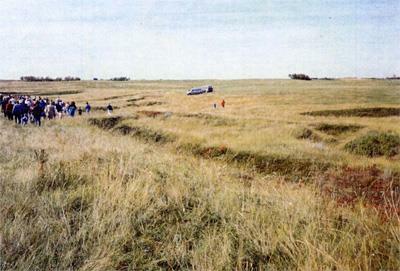 The site includes remains of a bison drive, remains from the Duck Bay cultural tradition, and also traces of occupation from an unidentified Plains people. Brockinton is a multi-component archaeological site that includes three main layers of occupation dating to the Late Pre-Contact Period from 800 to 1650 A.D. The oldest level, dating from c.800 A.D., contains the remains of an abandoned bison drive. This level contains an astonishing number of bones and tools, including a large quantity of small Prairie side-notched arrowheads. The second layer, dating from 1100 to 1300 A.D., was home to the Duck Bay culture, a regional variant of the Blackduck complex found in northern Ontario. This tradition is not usually found on the plains, but rather has a widespread distribution in the wooded portion of south-eastern Manitoba and the adjacent regions of Minnesota. The uppermost level, dating from c.1650 A.D., contains evidence of an unidentified Plains people from the Dakotas. This appears to be the only occurrence of these peoples in Canada, who are represented by a uniquely decorated, rich and varied ceramic assemblage. Camp Hughes National Historic Site of Canada is located south of the Trans-Canada Highway 10 kilometres west of Carberry, Manitoba. Formerly a First World War military training camp, it is one of the most intact simulated battlefield terrains in Canada. The site consists of rolling open grassy fields, remnants of the military camp consisting of administration and training areas, a cemetery and archaeological vestiges. The heritage value of Camp Hughes lies in its physical fabric and historical associations. It was at this camp that tens of thousands of Canadian soldiers received instruction in the tactics and weaponry of war prior to being deployed to Europe during the First World War. Battlefield conditions, including a system of trenches, grenade pits, and a rifle range, were created to reflect the realities of trench warfare. Many of the soldiers who trained at Camp Hughes went on to fight at Vimy and Passchendaele, defining battles in Canada's history. The camp served as a military training facility until 1934 when it was dismantled as part of an unemployment relief project. Winnipeg Railway Station National Historic Site of Canada is the former Canadian Pacific Railway Station situated at 181 Higgins Avenue, Winnipeg. It is a grand, four-storey Beaux-Arts building of contrasting red brick and Tyndall limestone detailing. 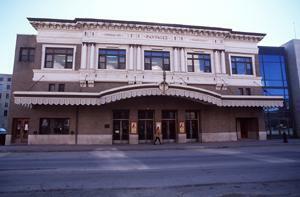 The heritage value of Winnipeg (Canadian Pacific) Railway Station National Historic Site lies in impact as a grand 20th century urban railway station. It is embodied in the Winnipeg station's Beaux-Arts style, its monumental proportions, its efficient and expansive interior, fine materials and workmanship. It is also reflected in the building's layout and siting. This was the fourth railway station constructed by Canadian Pacific Railway in Winnipeg. It was built in 1904-06 as part of a monumental three part complex which included a luxury hotel, the station and an administrative wing arranged in a U-shaped configuration. Designed by Montreal architects W.S. and E. Maxwell, the station was the first Beaux-Arts building constructed in Canada. Its facilities were expanded in 1915 to include six additional main lines, elevation of the road bed, a larger second-class waiting room and baggage handling facilities. This building continued to operate as a railway station until 1978, and Canadian Pacific still uses its administrative wing although the Royal Alexandra Hotel associated with the complex was demolished in 1971. Churchill Rocket Research Range National Historic Site of Canada is located on the 59th parallel, a few kilometres east of the town of Churchill, Manitoba, on the shores of Hudson Bay. The installation is an immense wedge-shaped piece of land with facilities for launching, tracking and retrieving the rockets. 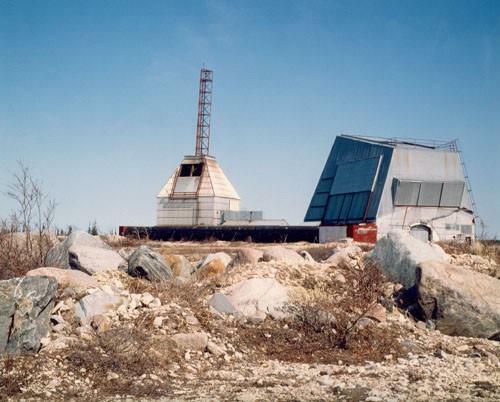 Until the site closed in 1985, the area known as the range head provided the working base for launching and tracking rockets for research into the upper atmosphere. The heritage value of Churchill Rocket Research Range lies in the completeness with which the cultural landscape of its range head portrays the nature and technology of Cold War rocket research in Canada. Value resides in the range head's design, composition, functional disposition, scientific and technological equipment, site and setting, as well as those of its component buildings and structures. Churchill Rocket Research Range was built by the United States Army under the aegis of Canada's Defence Research Board in 1956. It launched its first rocket for research into the upper atmosphere in October 1956. Over the years, Canadian programs participated increasingly in rocket research at this centre, and it became a National Research Council of Canada (NRC) facility in 1964. This was the only facility in Canada for launching sounding rockets. The Black Brant rocket, designed and built in Canada, was first launched from this centre in 1959. The Confederation Building, Winnipeg is a 10-storey skyscraper, built in 1912. 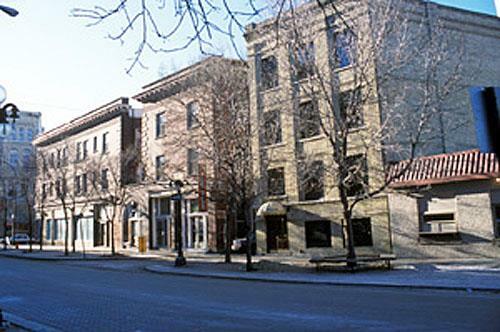 It is located on Main Street in the heart of the early business district of the City of Winnipeg. The Confederation Building was designated a national historic site of Canada in 1976 because it is a good example of an early Sullivan-inspired skyscraper. Designed by Toronto architect J. Wilson Grey as provincial headquarters for the Confederation Life Association, this building exhibits the influence of Louis Sullivan of the Chicago School of Architecture. In keeping with the Chicago School, the building's facade truthfully reflects both its steel-frame construction, and its division into three functional tiers expressed horizontally. 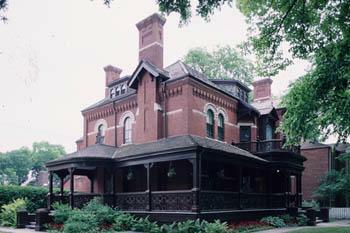 Dalnavert National Historic Site is a two-and-a-half-storey, late-19th-century, red-brick house with a large wooden verandah. 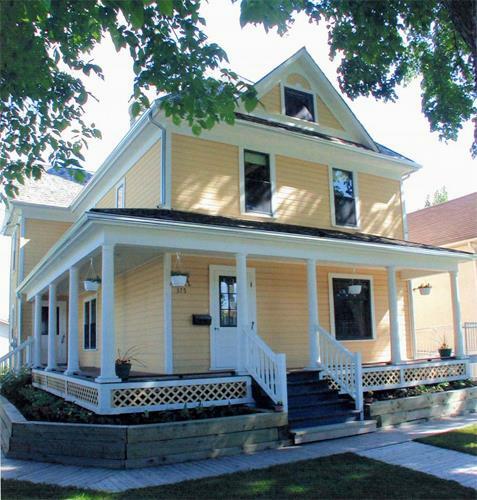 It is located on a large double lot in a residential neighbourhood in downtown Winnipeg. A one-storey addition to the rear of the house has been added to serve as an orientation centre for Dalnavert Museum. Dalnavert was designated a national historic site in 1990 because it is a particularly good example of the Queen Anne Revival style, as expressed in domestic architecture. Built in 1895 for Sir Hugh John Macdonald and his young family, the house sits on an expansive double lot. A premier of manitoba from 1899 to 1900, Sir Hugh John Macdonald was the son of sir John A. Macdonald. Dalnavert typifies the Queen Anne style in its asymmetrical composition, its use of red brick and contrasting trim, its varied massing and its eclectic detailing. Its rich interior decoration is also typical of this style, as is the wrap-around wooden verandah. The compact plan and relatively simple roofline show the adaptation of the style to a cold climate. 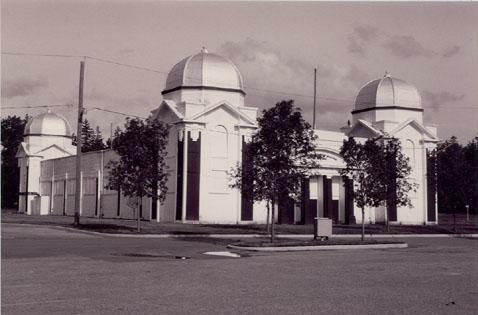 The Dominion Exhibition Display Building II is a stately wooden exhibition building located in the midst of the City of Brandon's exhibition grounds. The structure's scale, materials and classical elements proclaim its early 20th-century origins. Designed by architects Shillinglaw and Marshall, this grand Beaux-Arts-style building was constructed in 1913 for agricultural display at the annual Dominion Exhibition, an initiative of the Department of Agriculture. The Early Skyscrapers in Winnipeg National Historic Site of Canada is a grouping of three tall commercial buildings (Union Trust Tower, the Confederation Building, and the Bank of Hamilton) within Winnipeg's Exchange District National Historic Site of Canada, the historic business core of the city. They exhibit a variety of stylistic details but generally conform to the then-prevalent Chicago style for the incipient skyscrapers appearing in increasingly densely built city centres. Their heritage value resides in their impact as a grouping of relatively tall, monolithic structures whose articulation derives from the new technological and aesthetic trends emanating from the booming metropolis of Chicago, Illinois. In the early twentieth century, when these ten-to-thirteen-storey buildings appeared, they set a new standard for increasingly dense urban construction. Exchange District National Historic Site of Canada is located in downtown Winnipeg, Manitoba. The site consists of a densely built, turn-of -the-century warehousing and business centre of some 150 buildings covering 20 city blocks. Most of the district was constructed from about 1880 to 1913, using the most up-to-date construction methods and architectural styles. The intact nature of its densely built grid plan with its many compact, masonry structures of limited height, the intensive occupation of the urban lots, and the use of relatively sophisticated turn-of-the-century architectural styles, gives this district a distinct identity within the surrounding city. The heritage value, as defined by the above reasons for recognition, resides in the district's illustration of a densely built, turn-of-the-century warehousing and business centre utilizing contemporary construction methods and architectural styles. First Homestead in Western Canada National Historic Site of Canada is located on a flat parcel of land north of Portage La Prairie near Oakland, Manitoba. The site consists of the first homestead in western Canada, established under the Dominion government's new survey system adopted in 1871. There are no visible remains of the original homestead, which was first owned by John Sutherland Sanderson. 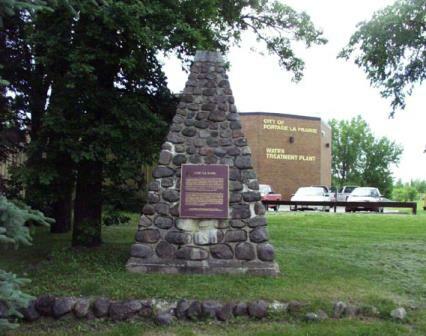 In 1976, the Historic Sites and Monuments Board of Canada erected a plaque on a grey tyndall stone block cairn to commemorate the site. The heritage value of First Homestead in Western Canada resides in its historical associations with the Dominion Government's Homestead Regulations in western Canada. Following the adoption of a new survey system in 1871, the Canadian government inaugurated its homestead policy under the Dominion Lands Act of 1872. This policy attracted immigrants from all parts of the world to establish settlements in western Canada. The first homestead entry in the west was filed by John Sutherland Sanderson, a Scotsman from the Lothians whose application was filed on July 2, 1872 and numbered "1". The former Miami Northern Pacific and Manitoba Railway Station, a two-storey wooden depot-residence, built in 1889, with an attached one-storey 1903 freight shed, stands next to a rail right-of-way near the southern edge of Miami. 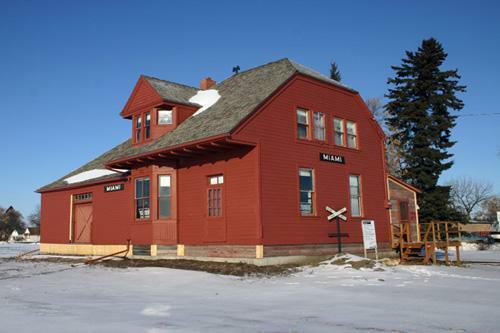 The former Miami Northern Pacific and Manitoba Railway Station, of sober proportions, aesthetics and materials, emphasizing efficiency and economy, is the oldest intact rail station in Manitoba situated in its original setting. The stout wood-frame complex also is one of just a few facilities that remain to mark the role of the Northern Pacific and Manitoba Railway, offshoot of an American line, as an early challenger to the Canadian Pacific Railway's monopoly in southern Manitoba. The compact 1889 section is a fine and rare variant of a standardized Northern Pacific combined depot-residence plan, the only one of its type to survive of three built by the company in the province. Its distinguishing features - abruptly truncated sides, high hipped gable roof, an observation bay that pierces the roof to become a faceted dormer - are complemented by the hip-roofed freight shed erected by Northern Pacific's successor, the Canadian Northern Railway. In service until 1973 and now a railway museum, this station remains visually prominent in Miami and is a stalwart symbol of the vital contributions of early rail transport to the area's economic and social development. 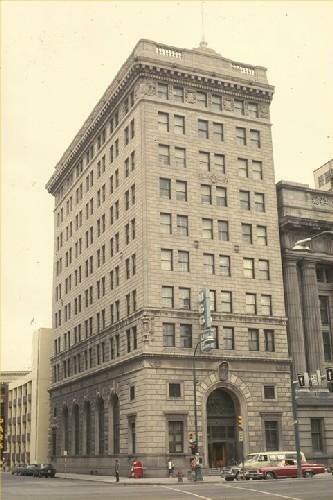 The former Union Bank Building/Annex is located on the west side of Main St. at the point where it curves southwards from Winnipeg's historic City Hall. 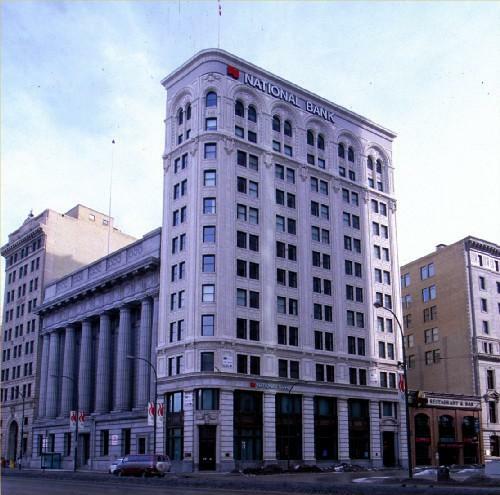 Together with the Confederation Life Assurance Building (also a skyscraper and National Historic Site) across Main Street on the east side, the Union Bank comprises the towering gateway to Winnipeg's historic financial district. Designed by the Toronto architectural firm of Darling and Pearson, this bank follows the classical palazzo model, one of two Beaux Arts-inspired forms used for early skyscrapers -- buildings of greater than 5 storeys supported entirely by a structural iron or steel frame. It was built on a floating platform by the George A. Fuller Construction Co. of New York. 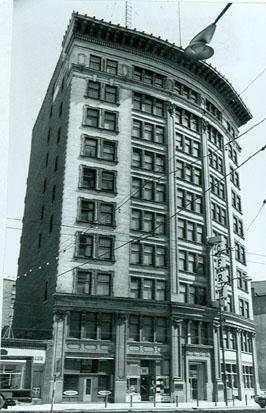 In 1921 a single storey annex was added to the original 10 storey tower to accommodate the Union Bank's savings department. 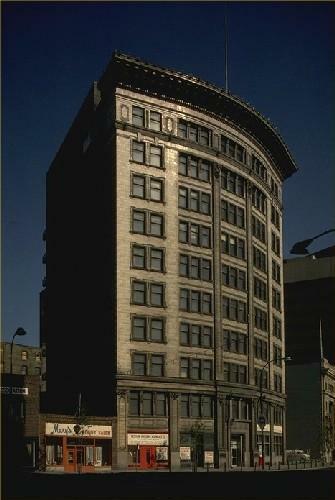 From 1925-1966 this building was occupied as the main branch of the Royal Bank in Winnipeg. 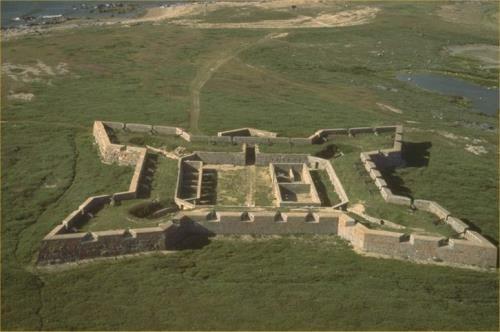 In the fall of 1741, at the request of the Crees and Assiniboines, Pierre de la Vérendrye built in this vicinity fort Dauphin. 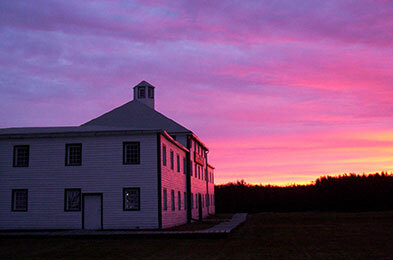 Located in a rural area north of the town of Emerson, Manitoba, on the west bank of the Red River, Fort Dufferin National Historic Site of Canada consists of the remains of a complex of buildings that was used as the main camp for the North American Boundary Commission (NABC) from 1872. It was then used by the North West Mounted Police (NWMP) in preparing for the March West and as a police post during the winter of 1875. Beginning in 1872, Fort Dufferin served as the base of field operations for the North American Boundary Commission, which worked for the next two years to define and mark the 49th Parallel. Subsequently, the North West Mounted Police used Fort Dufferin on two separate occasions, first in 1874 as the marshalling area for the "March West" and then in the winter of 1874-1875 as the headquarters of 'D' Division. Between 1875 and 1879, Fort Dufferin served as a port of entry to Manitoba and gateway to western Canada. 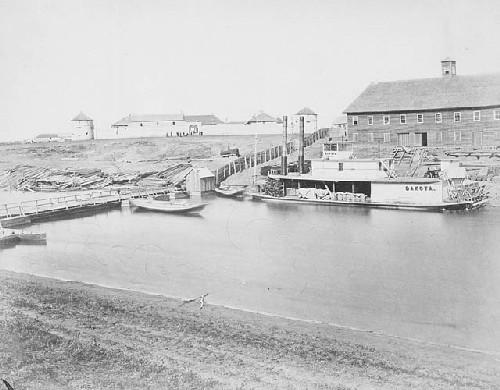 Fort Dufferin's role as immigration station lasted only as long as boats on the Red River were the main mode of transport for immigrants to Manitoba. 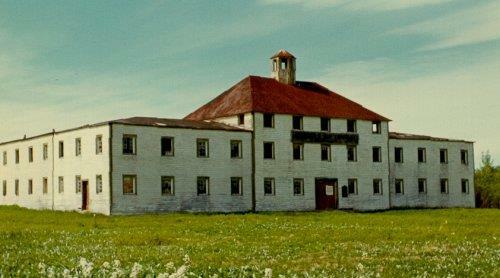 The property subsequently served as a livestock quarantine station before being sold to private owners, and then finally to the Province of Manitoba. 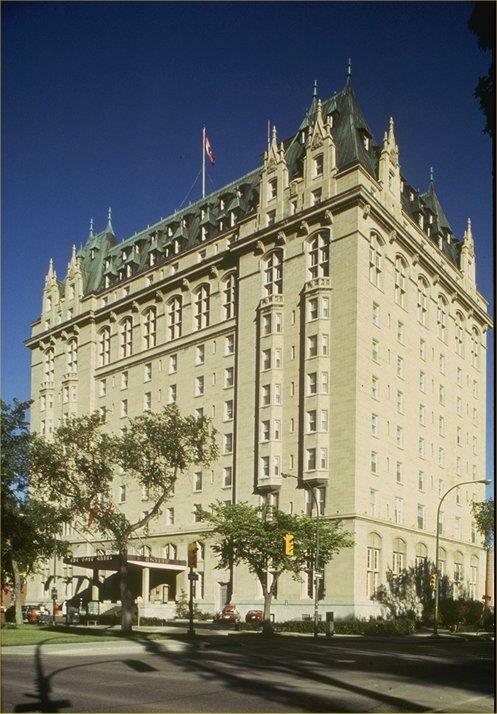 The Fort Garry Hotel is an early-20th-century stone hotel, constructed in the Chateau style. 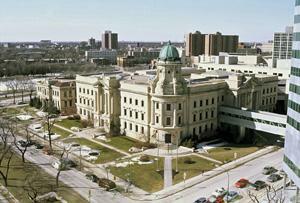 It is centrally located in the city of Winnipeg, one block west of Winnipeg Union Station. The Fort Garry Hotel was designated a national historic site in 1980 because it is a Chateau-style hotel, which is of national significance as an architectural type. The Fort Garry Hotel is one of a series of Chateau-style hotels built by Canadian railway companies in the early 20th century to encourage tourists to travel their transcontinental routes. Popular with the travelling public for their elaborate decor and comfortable elegance, these hotels quickly became a national symbol of quality accommodation. The Chateau-style vocabulary used by the railway hotels evolved as a distinctly Canadian architectural type. Built by Fuller Construction for the Grand Trunk Pacific Railway (GTPR) in 1911-1913, the Fort Garry combines a Chateauesque roofline with the monolithic form of a 20th-century skyscraper. Architects Ross and MacFarlane incorporated motifs found on other railway hotels, including the trademark GTPR Indiana limestone walls. The dramatic setting characteristic of Chateau-style railway hotels was achieved here by erecting a 13-storey structure that dominated the flat, prairie landscape, and by placing the main reception rooms on the seventh floor to provide a commanding view of the city. Fort La Reine National Historic Site of Canada is located on the north bank of the Assiniboine River, on the eastern edge of Portage La Prairie, Manitoba. 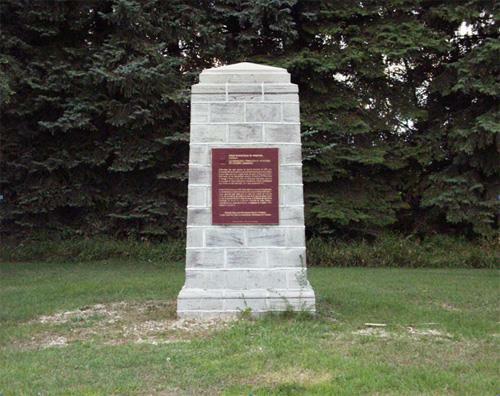 There are no known remains relating to Fort La Reine, but a stone cairn and plaque have been erected by the Historic Sites and Monuments Board of Canada (HSMBC) to commemorate the site. The heritage value of Fort La Reine resides in its historical associations with the early exploration of the West during the French Regime. The first Europeans to visit this area were probably the French explorers Radisson and Groseillers who explored the region between 1658 and 1690 in search of furs. In October 1738, Pierre Gaultier de Varennes, Sieur de La Vérendrye, established Fort La Reine on the Assiniboine River. The fort was used as a base for further exploration of the Canadian prairies and as one of the chief French trading posts until the end of France's influence in 1759. There is evidence to suggest that Fort La Reine was abandoned, burned and rebuilt several times, although its exact locations and dates are unknown. Forts Rouge, Garry and Gibraltar National Historic Site of Canada is located on three different positions at the forks of the Red and Assiniboine rivers in downtown Winnipeg, Manitoba. 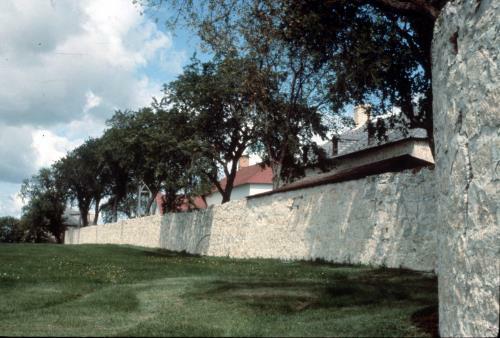 The only original surviving above-ground element is the north gate of Fort Garry II located in Upper Fort Garry Park, the walls of which have been partially reconstructed. 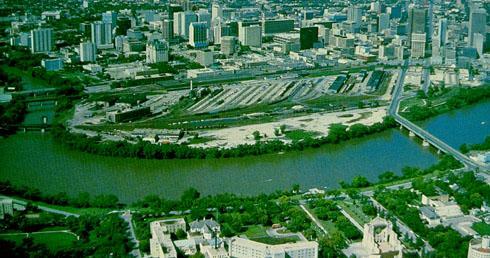 The sites of the two forts Gibraltar and the first Fort Garry have been identified adjacent to Union Station, while the site of Fort Rouge is believed to be on South Point, immediately south across the Assiniboine River. Located at the forks of the Assiniboine and Red rivers, Forts Rouge, Garry and Gibraltar illustrate the evolution of the fur trade in the west, from expansion westward to the dominance of the North West Company and the Hudson's Bay Company. Built in 1738, Fort Rouge was part of Pierre Gaultier de Varennes et de la Vérendrye's westward expansion of the fur trade on behalf of France, and was used as a trading post for the local Aboriginals. The fort may have operated for only one season, and by 1807, Fort Gibraltar was built near its site by the North West Company. It became the company's main fort in the interior and served as a pemmican post, providing supplies further inland, until it was destroyed in 1816 during a conflict with the Hudson's Bay Company. 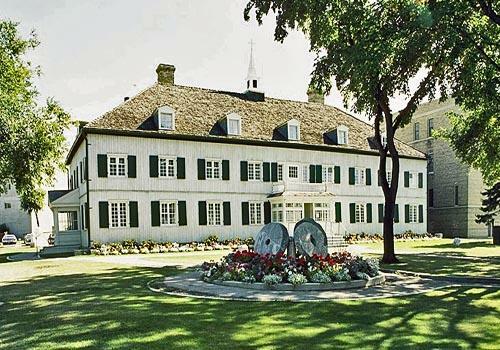 When the two companies merged in 1821, the fort was rebuilt as Fort Garry. Built on or near the site of Fort Gibraltar, Fort Garry became the chief fort at Winnipeg, although its unstable position near the river's edge required it to be moved to higher ground by 1836. Partially demolished in 1882, the northern gate of Fort Garry II constitutes the only above ground remains of the succession of forts around the confluence of the Red and Assiniboine rivers. Grey Nuns' Convent National Historic Site of Canada is a gracious two-storey hipped roof structure showing influences of Hudson's Bay Company construction techniques in its squared log construction and European classicism in its symmetrical nine-bay facade. Sited facing the Red River and downtown Winnipeg, it is an important element in the historic Roman Catholic ecclesiastical complex of St. Boniface. The building now serves as the St. Boniface Museum. This convent, which housed the first group of Grey Nuns to come to the West, was constructed between 1846 and 1851 to designs of Sister Marie-Louise Valade and L'Abbé Louis-Francois Richer Laflèche of Quebec working with local builders Louis Galarneau and Amable Nault. The convent was built of white oak logs and subsequently repaired and enlarged to meet changing needs. It is an outstanding example of Red River frame construction. As a mission house, it provided facilities for the Nuns' various works of health care, education and charity, which included caring for the aged and for orphans, treating the sick, and instructing children. It was the first institution of this kind in the west. Vacated by the nuns in the 1950s, it was leased by the City of St. Boniface (now the city of Winnipeg) and rehabilitated for use as a museum. 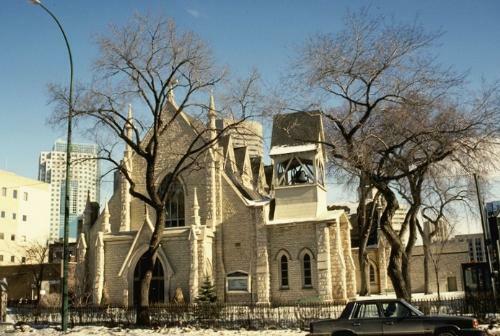 Surrounded by the large glass and steel buildings of downtown Winnipeg, Holy Trinity Anglican Church National Historic Site of Canada has witnessed the evolution of the district from open prairie to commercial core since its construction in 1883-1884. Recalling parish churches in England, this picturesque rough-cut limestone church is a fine example of High Victorian Gothic style, with the lively interplay of form and detail of finials, buttresses, gables and rooflines. The building has retained an astonishing amount of its original elements, although the main entrance on Donald Street has been sealed and access to the church is now routed through the parish hall. Set within a compact landscaped churchyard, Holy Trinity Church continues to be a vibrant parish within the Anglican Diocese of Rupertsland. When the parish of Holy Trinity outgrew its second church after its formation as a parish in 1867, the congregation awarded the $300 design competition prize to a British-born architect Charles H. Wheeler. An active member of the congregation himself, Wheeler's design delighted the small ambitious city, but the parish was ultimately obliged to forgo permanently a grand bell tower and spire planned for the southwest corner, due to a lack of funds. Completed in 1884, this church features a cruciform plan in an irregular outline with dormered clerestory windows along the steeply pitched gable roof. The rough-cut honey coloured limestone of the walls is further employed to great advantage in labels over the many pointed windows, and in the dripstones, which end in human faces over the entrances. Twinned buttresses carry the roofline down, each capped with a fanciful turret. A variety of stone crosses over the many gable and dormer peaks speak to the evolution and cultural breadth of this Christian symbol. The interior features an elaborate hammer beam ceiling and magnificent stained glass windows. Within its pointed arches, the elaborate Gothic tracery of the chancel and entrance windows is reduced to a simpler form in the windows along the nave. Above, each clerestory window exhibits the trefoil tracery appropriately symbolizing the Holy Trinity. Finished in a dark stained wood, the hammer beam ceiling continues the window tracery in a larger scale that weaves up in an elaborate manner, the arches carried down on to painted pillars capped with a display of cast human and animal heads, scrolls and leaves. With most of its original layout and furnishings intact, the church interior has a remarkable integrity, which has been supported by a long-term regime of maintenance and care. A 1912 church hall that blocked the stained glass window at the rear of the chancel was replaced in 1966 with a lower structure, which was more sensitive to the design of the church, while still providing much-needed space for the parish's many activities. In the small town of Inglis, Manitoba, a row of tall wooden elevators are lined up parallel to the railway tracks. This is the Inglis Grain Elevators National Historic Site of Canada - a rare surviving icon of prairie towns during the "golden age of grain." The elevators, no longer in active use, are preserved as a historic site. 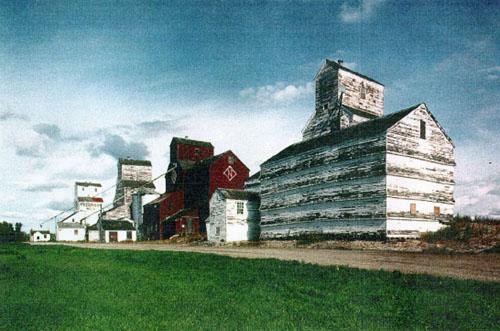 The heritage value of Inglis Grain Elevators National Historic Site of Canada lies in its symbolic, visual and substantial representation of a phenomenon typical of the landscape of prairie towns through the early and mid 20th century. 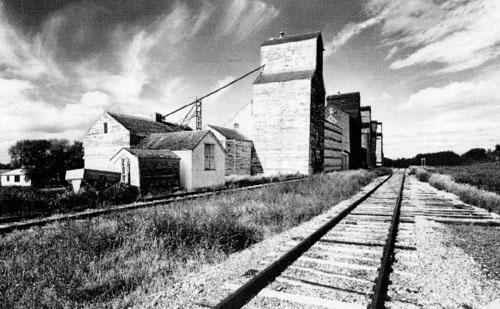 These five grain elevators were built along a Canadian Pacific Railway right-of-way that served the newly created town of Inglis, completed in 1922. Four of these elevators were constructed during the golden age of grain; the fifth was built during the Second World War. They were built by companies familiar to such locations  N.M. Paterson & Son (1922), the Northern Elevator Company (1922), Matheson-Lindsay (1922-23), Reliance (1941), and the United Grain Growers (1925). Ownership of these buildings consolidated and changed over the years, encompassing other familiar companies such as the National Grain Company, the Manitoba Wheat Pool. Since the elevators closed in 1995, they have been restored for tourism purposes. Aboriginal burial mounds from 1000-1200 AD. 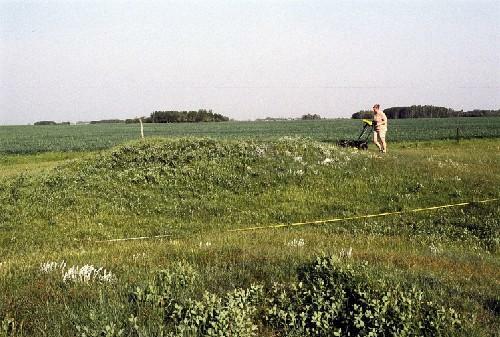 Located near the Souris River in southern Manitoba, the Linear Mounds burial site is a sophisticated construction consisting of three mounds spread out over a large area of land. The first is a linear mound with a round terminal mound at either end, approximately 258 metres long and running north to south. The second is a linear mound, also with a round terminal mound at each end, 194 metres long, and running east to west. The final mound is conical, approximately 22 metres in diameter and lying just west of the south end of the north-south mound. These burial mounds, dating from approximately 900 to about 1400 AD, are complex constructions of soil, bone and other materials. The excellent state of preservation of these mounds has yielded a wealth of information concerning life in the Great Plains at this time, revealing, by the nature of the goods in the burial mounds, that the peoples of this area were part of a continent-wide trading network. The mounds have now been ascribed to the Devil's Lake-Sourisford Burial Complex, a network of related sites containing both linear and conical mounds which extends from southern Saskatchewan and Manitoba to Montana and North and South Dakota, based on similarity of artifacts discovered in mounds. This complex dates from approximately 900-1400 AD, putting it in the Late Woodland period. Major centre in 19th-century fur trade, Hudson's Bay Company. Lower Fort Garry National Historic Site of Canada is a former fur trade post, once the most extensive in western Canada. Situated near Winnipeg, Manitoba, 30 km. 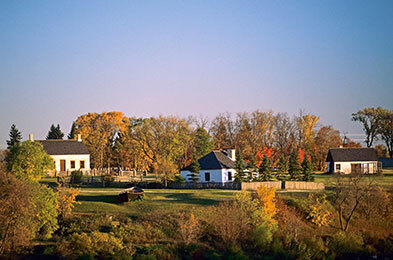 upstream from the junction of the Assiniboine and Red Rivers, this 85-acre site encompasses a four-acre Hudson's Bay Company fort comprised of several buildings within a stone wall, a number of restored and reconstructed buildings outside the walls, as well as a portion of the camping sites of over 2,000 Ojibway and Swampy Cree people who attended the signing of Treaty 1. It is now operated by Parks Canada as a historic site open for public visitation. Lower Fort Garry was established by the Hudson's Bay Company in 1830, and operated as a company post until 1911. Construction of the fort itself (1830-1850s) was largely guided by Governor George Simpson. 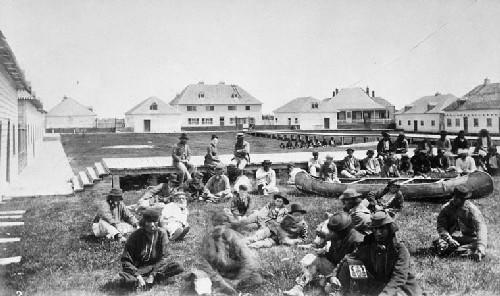 After the Government of Canada acquired Hudson's Bay lands in the west (1870), various government officials and functions occupied the fort's facilities together with fur trade officials; as a result, the fort has been both witness and symbol for much of western Canada's early history. From 1913-1962 the fort was leased to the Motor Country Club. The Hudson's Bay Company donated the complex and its associated land to Parks Canada in 1951, and since then (1965-1982) many of its structures have been restored and interpreted to the 1850-1860 period for public visitation. 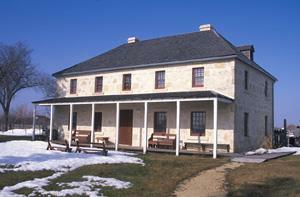 The heritage value of Lower Fort Garry lies in its role as witness to the negotiation and signing of Treaty 1, and to over a century of Hudson's Bay Company administrative and supply activities. Its value is embedded in its location, its setting, orientation and composite elements. The buildings of the fort are of particular importance for their assemblage, design, materials, construction technology, functional and spatial disposition. Maison Gabrielle-Roy National Historic Site of Canada is located on a narrow lot in a quiet residential neighbourhood in St. Boniface, Manitoba. The fine, large two-and-a-half storey wood-frame house was constructed in the Vernacular style and has an L-shaped plan. The house, which has been restored to its 1918 appearance, was the birthplace of Canadian writer Gabrielle Roy, who lived there until 1937. The heritage value of the house stems from its association with Gabrielle Roy, one of the greatest Canadian writers of the 20th century and a National Historic Person. The house is therefore not only the birthplace, but also the backdrop for Gabrielle Roy's childhood, youth and young adulthood. All her life, she remained deeply attached to the house of her birth, particularly the attic, which is closely associated with a specific period in her life and her early interest in writing, that provided a great deal of inspiration for many of her works. As witnessed by the references and allusions in many of her books, especially Street of Riches and Enchantment and Sorrow, Gabrielle Roy was inspired not only by the house itself, but also by the events that took place there and the neighbourhood in which it stands. They offered her an inspiring microcosm which she idealized and from which she drew universal themes. Her attachment to the house is evident in many of her books and also in her personal life through her quest for similar places to live. Restored between 2001 and 2003, the house helps preserve the memory and work of this fine Canadian author. The Metropolitan Theatre at Winnipeg is an early-20th-century movie theatre. It is located in the heart of downtown Winnipeg. The Metropolitan Theatre was designated a national historic site in 1991 because: it is a fine example of the work of prominent American theatre architect C. Howard Crane; it represents the cultural impact of the movie theatre in the 1920s; and it is associated with the corporate struggle between the Allen and Famous Players Theatre chains for supremacy in the film distribution industry in Canada. The Metropolitan is one of three surviving Canadian examples of Crane's work, and a good example of an early phase of his international work. Its exterior facade typifies cinemas designed by Crane for the Allen theatre chain. The interior, modified in the 1930s, is representative of the work of theatre designer Emmanuel Briffa. The Metropolitan, originally called the Allen, is one of four surviving movie theatres in Canada built by the Allen brothers, Jay and Jule, and their father, Bernard. During the early 20th century, the Allen family ran the biggest cinema chain in Canada, and one of the largest in the world. 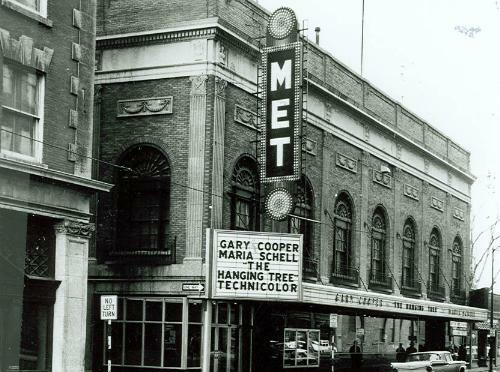 One of the first of the large, opulent "movie palaces" built in Canada, the Metropolitan represents the impact of the Allen cinema chain on Canadian life and its contribution to the Canadian film industry. By promoting movies and moviegoing, and by erecting large, opulent movie palaces across the country, the Allen family helped to elevate movies to a form of reputable, accessible and affordable entertainment. The Allens were strong promoters of Canadian content. 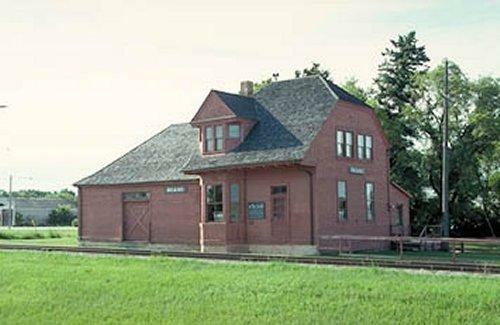 The Miami Railway Station is a small, wooden storey-and-a-half railway station located beside the tracks in the agricultural community of Miami, Manitoba. The Miami Railway Station was designated a national historic site in 1976 to commemorate the development of the Canadian Northern Line and because it is a rare surviving example of a Canadian Northern railway station. Formed in 1899 by William Mackenzie and Donald Mann as a result of the amalgamation of two small Manitoba branch lines, the Canadian Northern Railway grew quickly to become a transcontinental railway system. The present station, built around 1905, is typical of many standard design frame depots erected by the Canadian Northern across the prairies. It reflects the brief period of prosperity enjoyed by Miami during the railway boom of the early 20th century. The station operates as a rail museum during the summer months. 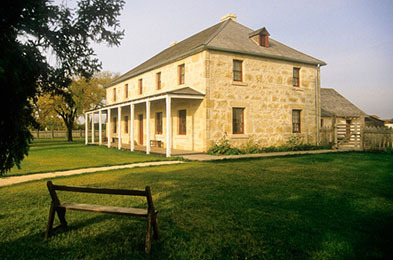 Miss Davis' School Residence / Twin Oaks National Historic Site of Canada is located on one of the original river lots along River Road, approximately 10 kilometres north of the city of Winnipeg. 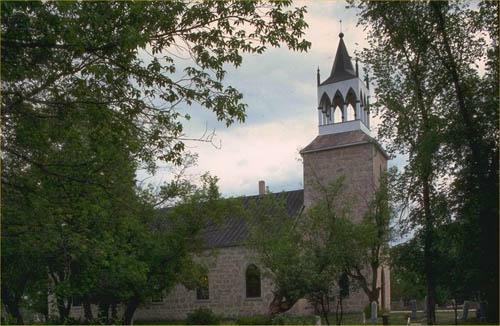 Constructed sometime between 1853 and 1866, the former school is a large two-storey limestone structure on an extensive treed lot that was first settled as part of the earliest Red River's Lower Settlement. The area retains its largely rural nature, despite some adjacent residential development. 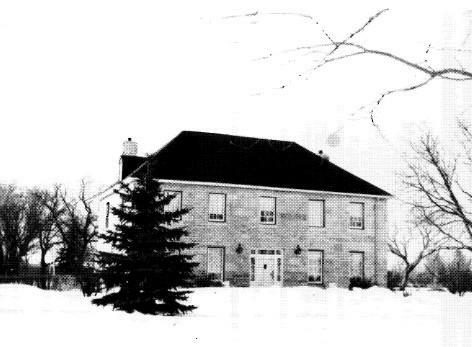 Miss Davis' School Residence / Twin Oaks was constructed by Duncan MacRae, a Scottish stonemason, who oversaw much of the stone construction in Red River. While the homes of several local families were built in this manner, developed by the Hudson's Bay Company in forts and posts throughout North America, only a small number have survived along the Red River Corridor. Responding to petitions for the education of their daughters from local families and Hudson's Bay Company officers across Canada, the Anglican Church Missionary Society persuaded Miss Matilda Davis, the daughter of a Hudson's Bay Company employee, who was educated in England, to open this school in conjunction with the mission of St. Andrews Anglican Church. Although some were day students, most of the girls boarded in the big house, where they received classes in French, music, drawing, dancing, needlework and deportment befitting young English ladies. Two log cabins on the property were also erected as classrooms, one of which is thought to survive on the property in a much-altered state as a garage with an office above. The school, known as Oakfield, St. Andrew's Establishment for Young Ladies, closed following the death of Miss Davis in 1873. It became a private residence, surviving with few changes until its new owners were obliged to undertake a restoration in 1935. Renamed Twin Oaks, the house had, in addition to major interior alterations, its stone walls repaired, a basement added, and the glazing of its ground-floor windows and front door transom altered. Twin Oaks, which underwent a second major restoration in the late 1990s, continues to serve as a private residence. The integrity of the exterior design of the limestone house is largely intact, with the original massing, form and design enduring from its earlier function as a school. A stone's throw from the commercial heart of the town of Neepawa, Neepawa Court House / Beautiful Plains County Court Building National Historic Site of Canada is an imposing two-storey buff brick building, located on an open site. 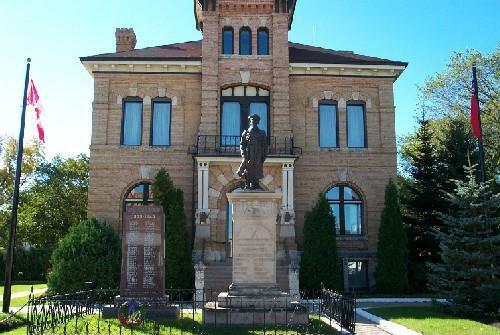 Constructed in 1884, when the surrounding district was in its earliest stage of settlement, the structure served as county and municipal offices, a circuit judges' courthouse, police station and theatre, thereby securing Neepawa's role as the most prominent town in the district. The building now houses offices of the Municipality of Rosedale. The design was awarded to one of the young province's foremost architects, British-trained C. Osborn Wickenden, who contributed several prominent public buildings to Manitoba and later to British Columbia. A Portage la Prairie construction firm had the expertise to provide the skillful handling of the decorative brickwork of the courthouse. The high-quality bricks were also manufactured in Portage, which speaks to the sophistication of artisan skills developing on the Prairies. In 1982, strong local support for the preservation of the Neepawa Court House / Beautiful Plains County Court and municipal offices as part of the town's centennial anniversary celebration demonstrated how significant a landmark it remains within the district. Neubergthal Street Village National Historic Site of Canada was founded in 1876 by a group of related Mennonite families on the open plains of southern Manitoba. The village is now surrounded by flat farmland. The community occupies six sections of land where residences, farmyards, and communally owned arable fields and pasturelands are arranged in long narrow farmsteads. The farmsteads that form the village are positioned in traditional fashion behind fencing along a single tree-lined street, creating a distinct identity. 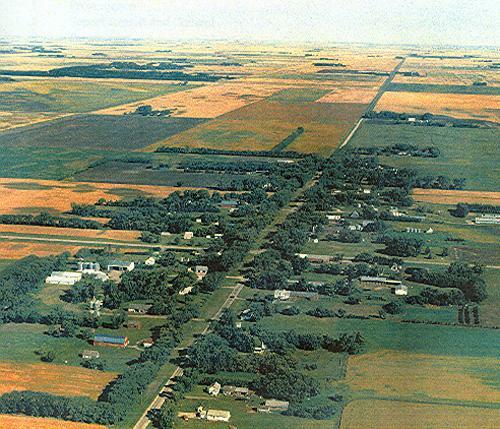 Neubergthal Street Village is a living illustration of a Mennonite village on the Canadian Prairies. 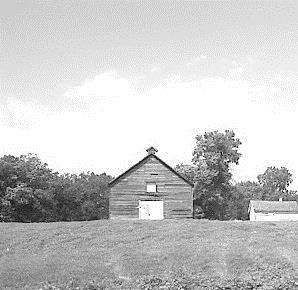 Its heritage value rests in the distinctive settlement forms resulting from Mennonite traditions of community development and architectural forms that express a belief in an egalitarian, communal and self-sufficient social structure. A group of related families, the children of Johann and Margaretha Klippenstein, founded the village in 1876. They settled on land, which, together with some additional families, they entered as homesteads between 1876 through the 1880s. The street village formation was a good model for settlement because it required close interaction and cooperation among residents. Villagers assisted each other with harvesting and threshing, butchering and building. The church, as the central institution of village life, defined how they made their living, governed themselves, and generally defined their values and behaviour. Norway House National Historic Site of Canada consists of the remnants of the former Hudson's Bay Company fort at Norway House, Manitoba. The three wooden buildings, the Archway Warehouse, Gaol and Powder Magazine, sit in the stark landscape, near the banks of the Nelson River, at the north end of Lake Winnipeg. The heritage value of Norway House lies primarily in its historical associations as the Hudson's Bay Company's principal inland depot for the fur trade. It is also the place where Treaty No. 5 was made between the Saulteaux (Ojibwa), the Swampy Cree First Nations people and the Crown in 1875. It was also the site where the Rev. James Evans invented the Cree Syllabic System. Norway House was established on this site in 1825-26. Surviving buildings including the Archway Warehouse (1839-1841), the Gaol (1855-1856), and the Powder Magazine (1837-1838) bear witness to this history. Pantages Playhouse Theatre National Historic Site of Canada is a former vaudeville theatre built in the early twentieth century in downtown Winnipeg, Manitoba. Its Edwardian baroque façade, with its classical detailing and full-length marquee signals its original prestige as a public venue. The heritage value of the Pantages Playhouse Theatre National Historic Site of Canada lies in the integrity with which its features continue to represent the characteristics of vaudeville theatres from the 1913-1930 period. Winnipeg's Pantages Playhouse Theatre was designed by architects George W. Northwood and B. Marcus Priteca and built in 1913-14 for the Pantages Company, a major American vaudeville chain, to present live theatrical, musical and vaudeville performances. Theatres of this type are among the grandest ever built in Canada. The Pantages Playhouse was acquired by the City of Winnipeg in 1923, and the city has continued to run it since that time. 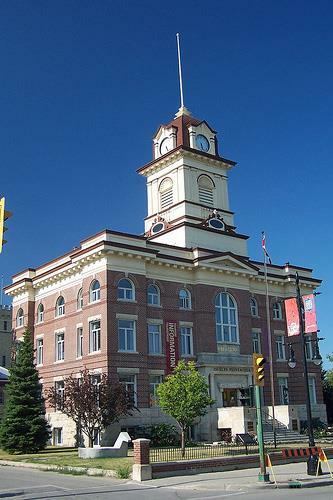 The Portage La Prairie Public Building, now the city's City Hall, is a substantial two-and-a-half storey buff-coloured limestone public building with a roof of grey galvanized iron. Prominently located on the main street of Portage la Prairie, it was constructed in 1896-98 as the Dominion Post Office, Customs House and Inland Revenue office for an ambitious town. Designed by Thomas Fuller, the Chief Dominion Architect of the National Department of Public Works, the building blends architectural elements drawn from Second Empire, High Victorian Gothic and Richardsonian Romanesque styles. As a newly independent nation in the late 1800s, Canada needed its government to provide basic services within its jurisdiction across the developing continent. The Department of Public Works named a Chief Architect to oversee construction of buildings to house these services as well as to establish a recognizable federal presence. Thomas L. Fuller (1823-1898) was an English architect whose term as Chief Architect (1881-1898) saw many buildings constructed across the country. The post office in Portage la Prairie, completed in 1898, was one of 66 small urban post offices constructed in the period, of which only this one survives in western Canada. While each of the 66 buildings contributed to an identifiable genre, they were designed individually to be compatible with their sites and to use materials readily available locally. Standard plans included an open hall plan on the main floor that was broken into a lobby and a mail-processing area. Upstairs were the offices of the Customs and Internal Revenue departments. The third floor served as the living quarters for the caretaker; the basement held storage, the furnace and the fuel supply (coal). The exterior of the Portage La Prairie Public Building continues Fuller's vision, which was carried out in public buildings across the country. Executed in rough-faced limestone with dressed stone trim, the building rests on a foundation of rubble fieldstone while its upper floors are made of timber frame carried internally on cast iron columns. Like other of Fuller's design, this building shows eclectic stylistic influences. The symmetrical bays and flanking front entrances, the mansard roof and the classical details show the influence of the French Second Empire style, while the varied roofline, attention to the colour and texture of the stone and advancing and receding volumes blend in a High Victorian Gothic influence. The varied massing and wide voussoir trim over the doors and windows express the American influence of Richardsonian Romanesque style, all typical of public buildings of the era. Despite its adaptation to continuing changes in government processes, the Portage La Prairie Public Building has seen little exterior alteration with the exception of window replacement and the construction of a single-storey addition to the rear during the renovations of 1920-1922. Materials, rhythms and details of this addition were blended sensitively as the Public Building was expanded to meet the increased need for space for Customs offices. The building was rehabilitated in 1960 as the Portage la Prairie City Hall. Civic administration and the mayor's office now fill the main floor while the second floor has seen use as a court, a library and an arts centre. Two prison cells remain from a period when the RCMP detachment occupied the basement. In 2005, the two original entrances, the stairway on the west side and the upper floors' millwork were restored to maintain the viability of City Hall for the future. 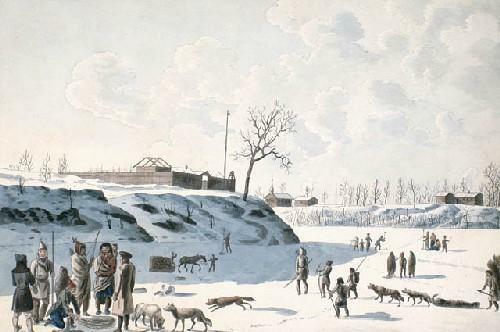 18th-century stone fur trade fort; Hudson Bay Company. Prince of Wales Fort National Historic Site of Canada near Churchill, Manitoba encompasses a massive fortification along with installations at Cape Merry and Sloop Cove. Here, you can experience the diverse history of the Hudson's Bay Company and the fur trade of the 1700s. The Parks Canada Visitor Centre in Churchill, provides an excellent introduction to the sites with exhibits and special presentations. Prince of Wales Fort National Historic Site of Canada is a ruinous early 18th-century fur trade fortress built by the Hudson's Bay Company. Surviving stone walls stand starkly silhouetted on the tundra along the shore of Hudson's Bay at the mouth of the Churchill River in northern Manitoba. The heritage value of Prince of Wales Fort lies in its historical associations and in the physical remains of the fort and its cultural landscape. Prince of Wales Fort was built by the Hudson's Bay Company in 1731-1771 at a time when its major shipment and supply route operated from Hudson's Bay through Arctic waters. The fortress was constructed to be an impregnable English stronghold, and today its imposing 12 m thick walls and 40 mounted cannon still survive along with the battery, cannon and powder magazine built to safeguard it on Cape Merry. 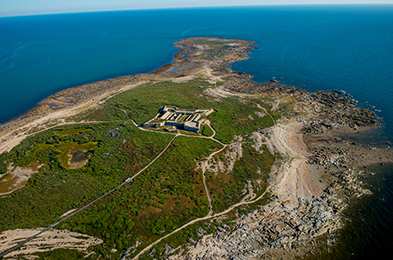 As commander of the fort, Explorer Samuel Hearne surrendered it to the French in 1782, an act that terminated Hudson's Bay occupation and terminated Prince of Wales Fort's utility. Parks Canada engaged in limited repair and restoration of the fortress walls in the 1935-1965 period. Ralph Connor House National Historic Site of Canada is located in central Winnipeg Manitoba, in the residential area of Armstrong's Point. This spacious and dignified three-storey brick and stone residence was built from 1913 to 1914 for the Reverend Charles Gordon, a well-known Presbyterian minister who, under the pen name of Ralph Connor, also wrote best-selling novels. 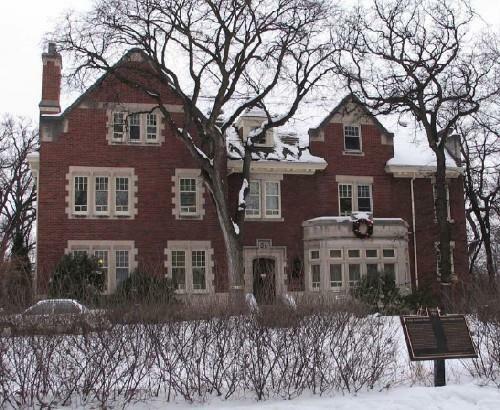 Gordon lived in the house until his death in 1937, after which it became the home of the University Women's Club of Winnipeg. The site includes the main house, a coach house and the surrounding landscaped property. The heritage value of Ralph Connor House lies in its associations with Reverend Charles Gordon and his very public position as a best-selling Canadian author under the pen name Ralph Connor. Constructed from 1913 to 1914 when Gordon was at the height of his career, 54 West Gate is closely associated with the life and legacy of the minister and novelist. Gordon chose Armstrong's Point, an exclusive central neighbourhood of Winnipeg's social and financial elite, for his family home. It is a fine example of houses built in this area, featuring asymmetrical façades, an irregular roofline, bay windows, and exterior walls of rich red brick trimmed with Tyndall stone. While the house was not a subject of his writings, 13 of Gordon's 22 novels were published while he was living at 54 West Gate. As one of Canada's best-known writers, he played a prominent role in Canadian Authors Association, established in 1921. At the national level, Gordon was a member of the association's first council, and served as president for two terms in the mid-1930s. He was also active in the Winnipeg branch, which for years held its meetings at 54 West Gate. The house also represents the public face of Reverend Gordon as, for twenty-five years, it acted as both the manse and the family home of this leading Presbyterian churchman and social activist. The layout of the house clearly reflects this dual role. The formal front entrance was the "business" entrance used by his parishioners, leading to an office and to Gordon's study. The carriage entrance with porte-cochere and terrace on the south side was the family entrance, leading to the private spaces of the house. The house was well designed to accommodate Gordon's congregational work and social activism. The study was where he composed his sermons and conducted parish business. The front entrance of the house opened into a vestibule where parishioners were received; a hallway led to a secretary's office and then to Gordon's study, furnished with a large desk, comfortable chairs, and dictionaries and reference books on stands. This area of the main floor was designed to give privacy from the family rooms of the home. The Red River Floodway National Historic Site of Canada is part of a massive flood control system that lies east of Winnipeg, Manitoba. The city itself is located on a flood plain at the confluence of the Red and Assiniboine Rivers, on one of the flattest areas in North America. Engineered between 1962 and 1968 to protect Winnipeg from threat of flooding by the Red River, the floodway detours excess waters harmlessly eastwards around the city, where it rejoins the river further downstream. The Red River has flooded many times in documented history, often with disastrous consequences to nearby settlements. Known affectionately as "Duff's Ditch" after its advocate, former Manitoba Premier Duff Roblin, the floodway became the largest component in a comprehensive engineering project launched by the Government of Manitoba in the 1960s to protect its inhabitants. The Red River Floodway was built in response to the catastrophic destruction of the 1950 flood in Manitoba, which flooded almost one-tenth of the city. Plans for the intake and outlet devices were drawn up by H.G. Acres & Company Ltd., Consulting Engineers of Niagara Falls, in conjunction with the Red River Floodway Advisory Board of Manitoba's Water Control and Conservation Branch. As the largest excavation project undertaken in Canada to date, construction was shared between the Northern Construction Co. and J.W. Steward Ltd., both of Vancouver, and Winnipeg's Bird Construction Ltd. and Horton Steel Works of Toronto which fabricated the sector gates and hydraulic operating pistons. While extreme floods likes those in 1950 and 1997 are rare, the Red River Floodway has been put into operation many times since its completion, diverting floodwaters and preventing inundation to save Winnipeg homes and businesses from extensive flood damages. Riding Mountain National Park includes 3000 km2 of possibilities, where the boreal forest, the aspen parkland, and the fescue prairie greet visitors of all ages and abilities. Our welcoming community and pristine wilderness will help you to reconnect with the best of Manitoba and Canada, and offer you a vast array of opportunities for relaxation, laughter, discovery and fun. 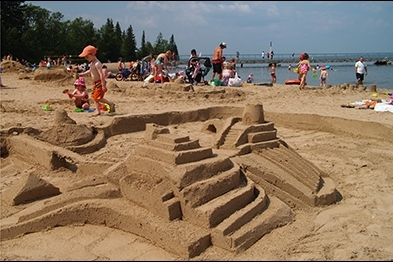 The picturesque town of Wasagaming, which bustles on busy summer days, has been creating indelible family memories for generations. The East Gate Registration Complex National Historic Site reminds us of the early days of Canada's national parks system. Three rustic buildings built under depression relief programs. The East Gate Registration Complex NHSC is a nationally significant example of the Rustic Design tradition of the 1930's in Canada's National Parks. It is the last of three log entrance gates in Riding Mountain. This gate was constructed of indigenous materials by skilled local craftsmen hired through the Federal Government's Depression Relief Program. Comprised of a registration building and two staff cabins, the East Gate Complex has symbolic value because its association with early autotourism and outdoor recreation. It is an enduring landmark for visitors to Riding Mountain National Park of Canada. The Riding Mountain Park East Gate Registration Complex National Historic Site of Canada comprises three log buildings of exceptional rustic design, the Whirlpool Warden's Residence, the East Gate Entrance Building, and the Gatekeeper's Cottage, in addition to a remnant of Norgate Road that passes through the complex. Their design and materials establish their identity as the eastern entrance to Riding Mountain National Park of Canada. Nearby are several more recent wood-frame service buildings. The heritage value of the site lies in the complex's illustration of exceptional rustic design in a National Park of Canada. 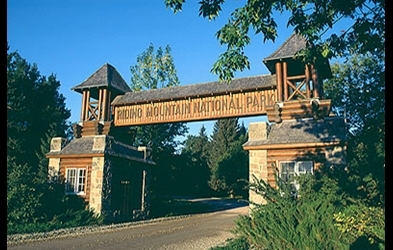 The Riding Mountain Park East Gate Registration Complex was constructed in 1933-36 by the National Parks Service to provide an eastern entrance to Riding Mountain National Park of Canada for automobiles travelling on Norgate Road (Highway 19). Both residences follow standard plans prepared by the Architectural Division of the National Parks Branch. Family home of Métis leader Louis Riel. As its name implies, this national historic site of Canada has close ties with Métis leader and a founder of Manitoba, Louis Riel. Occupying river lot 51 along the Red River, Riel House National Historic Site was the home of the Riel family. Descendants of this family continued to live in the home until 1969. It is here, in the living room of his mother's house, that Riel's body lay in state for two days in December 1885. The house itself, a Red River Frame building (a style of construction popular for this region) has been restored to the spring of 1886. 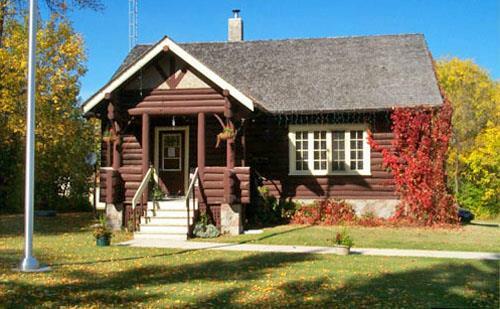 Riel House is a small one-and-a-half-storey, squared log house set on a river lot on the east side of the Red River. Located in a residential district at 330 River Road in St. Vital, a surrounding suburban development that has changed its original rural character. The property is associated with the family of Louis Riel. The heritage value of Riel House lies in its association with Louis Riel and in its representation of the Métis river lot settlement form. Its river lot has particular importance as a symbol of the early stamp of Métis culture upon the land. Built in 1880-81 on the site of an earlier home acquired in 1864 by Louis Riel's mother, Riel House was occupied by the family from the time of its construction to 1968. Louis Riel visited the house briefly in 1883 and was laid in state in the home after his execution in 1885. 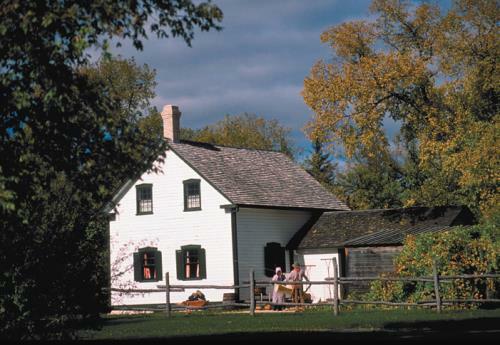 Since it was declared a national historic site in 1968, Riel House has been acquired by Parks Canada, restored and furnished to represent the spring of 1886 when the family was in official mourning following the execution of Louis Riel. Roslyn Court Apartments National Historic Site is a five-storey, 37-suite, red brick apartment building prominently located at the corner of Roslyn Road and Osborne Street in Osborne Village, Winnipeg. Roslyn Court Apartments was designated a national historic site in 1991 as a fine example of the Queen Anne Revival style and turn-of-the-century apartment design. The heritage value of this site resides in its illustration of the Queen Anne Revival style as used for apartment building design in Canada in the early twentieth century. Roslyn Court Apartments, built in 1909, was designed by Winnipeg architect William Wallace Blair. It is one of the few early 20th century apartment buildings that still retains its original interior features. Royal Manitoba Theatre Centre National Historic Site of Canada is located in downtown Winnipeg, Manitoba, within Exchange District National Historic Site of Canada. The site consists of a Brutalist structure, which features exposed reinforced concrete and substantial massing. It was built between 1969 and 1970 as part of an urban renewal project to create a complex of modern public buildings in downtown Winnipeg. It was also constructed to house the Royal Manitoba Theatre Centre's regional theatre group, which was established in 1958. The opening of the Royal Manitoba Theatre Centre building in November 1970 concluded a long tradition of theatre building in Winnipeg. 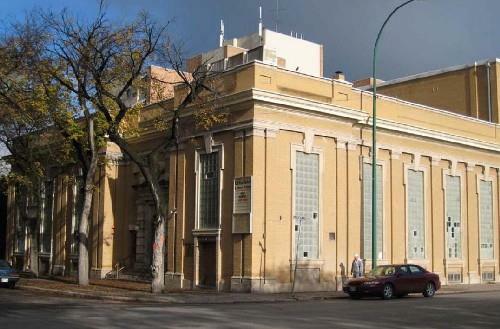 As part of a cultural renaissance of the city's arts facilities in the 1960s, the Royal Manitoba Theatre Centre building housed Canada's first professional regional theatre group. At a time when large modern theatres and concert halls were opening up across the country, the MTC was designed as an intimate space that permitted a close relationship between audience and actor. In addition, the Royal Manitoba Theatre Centre was the country's first large regional theatre group with educational programming and shows touring throughout rural Manitoba. The newly founded Canada Council funded the theatre and promoted it as the exemplary model of how to create a successful regional theatre. 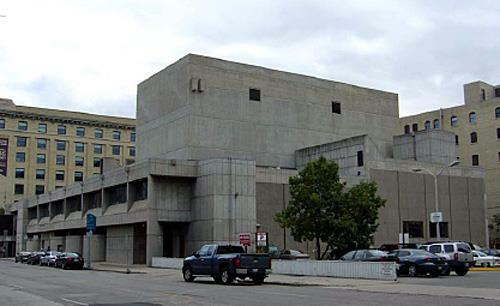 The Royal Manitoba Theatre Centre is also an excellent expression of small-scale Brutalist architecture in Canada. The buildings sculptural form of exposed reinforced concrete, undressed formwork and solid massing are key features of the style. The east and north façades of the building feature sculptural double-height angled windows, designed to allow natural light into the public foyer. In addition, the north side of the building is punctuated by four semi-circular concrete projections on the ground floor. There is an overall informality and asymmetry to the building that is characteristic of small-scale Brutalism. Equally important is the Royal Manitoba Theatre Centre's interior space. At a time when Brutalist architecture was being well received publicly as modern design, the Royal Manitoba Theatre Centre building introduced a new concept of intimate Brutalist architecture. Rather than a formal event space, the architects and theatre director worked together to create a space that bridged the separation between the actors' and the audience. The theatre's asymmetrical seating arrangement, flexible stage design including a proscenium and "thrust stage," and foyer, are good representative examples of this concept. The scenery preparation room behind the stage is also open to viewing by theatregoers through a window, allowing a glimpse behind the stage and furthering the intimate theatre experience. The Sea Horse Gully Remains National Historic Site of Canada is located on a peninsula forming the west site of the Churchill River, directly opposite the town of Churchill, Manitoba. Set on the northernmost segment of a bedrock ridge the site is covered by a layer of gravel, stones and sand. The site comprises two archaeological components; the Sea Horse Gully site, which runs 1.8 kilometres along the length of a bedrock ridge at the height of the peninsula 30 metres above sea level, and the Dorset Cove site, located on the western side of the peninsula near Button Bay, measuring 400 by 300 metres that is 18-22 metres above sea level. The Sea Horse Gully site was discovered in 1966 by Joe Bighead, a local Chipewyan man. In the summer of the same year, a wildfire destroyed the mat of tundra vegetation that covered the sites revealing artifacts and rock patterns of structures visible on the ground surface. A year later, further excavations uncovered 24 Pre-Dorset dwellings, as well as a large tool assemblage, domestic artifacts and other surface findings. 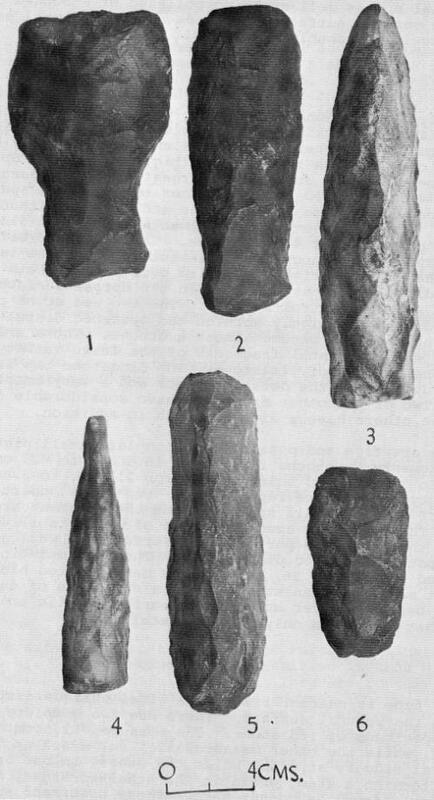 The variety of large tools found at Sea Horse Gully are virtually unique as the only other site where similar tools have been discovered is the Twin Lakes site southeast of Churchill. The site is believed to have been occupied 500 BCE and 130 BCE. It is one of the larger Pre-Dorset and Dorset sites in terms of number of artifacts. The confluence of the Souris and Assiniboine Rivers was a major victualling centre for the fur trade. During the period 1793-1824, the Hudson's Bay, North West, and XY Companies maintained posts in this area to trade with the Indians between Lake Manitoba and Missouri River for corn, pemmican, and fur. The Yellow Quill Trail crossed this region carrying inter-tribal and fur trade traffic. Many famous traders and explorers, including John Macdonnell, Cuthbert Grant, Peter Fidler, David Thompson, Alexander Henry, and Daniel Harmon were associated with these posts. St. Andrew's Church National Historic Site of Canada is a small stone Gothic-Revival-style church located in the community of St. Andrew's, Manitoba, some ten kilometres north of Winnipeg. Set in a churchyard on the west bank of the Red River, at the northwest corner of River Road at St. Andrew's Road, it is surrounded by a perimeter stone wall of rubble masonry, dating from circa 1858. This church, replacing an earlier wooden structure, was consecrated by the Anglican Church Missionary Society as part of its mission in the Red River Settlement in December of 1849. This pioneer expression of the Gothic Revival style is distilled here to its basic elements: a simple rectangular form, gable roof and tower. Its Anglican Church Missionary Society minister, Rev. William Cockran, designed the stone church, Hebridean stonemason Duncan McRae (1813-1898) supervised construction, and carpenter John Tait provided interior furnishings. Local parishioners donated funds, labour and the limestone, which was quarried locally. Three iron bells set within the tower and spire of the church called parishioners to worship. When St. Andrew's ceased to function as a mission in 1886, it evolved to what it is today, a place of worship in an active parish, and a landmark in the province. Changes in liturgical emphasis caused some interior modifications of the altar placement in the nineteenth century. Structural failure of two of the exterior stone walls required extensive repairs in 1931 and 1932. Routine maintenance of wood in the windows and spire has also been undertaken. Major structural repairs of the stone church's walls, foundations, roof trusses and belltower took place in 1983 and the 1990's. St. Andrews Caméré Curtain Bridge Dam is a 270 metre-long bridge-dam spanning the Red River at Lockport, Manitoba. The bridge supports a movable dam consisting of a series of Caméré curtains which maintain the river at a navigable depth during the summer months and are rolled up and removed each fall to enable the spring flood waters to pass unimpeded under the bridge. A canal lock, constructed in the west bank adjacent to the bridge-dam, carries river traffic past the dam. Today the bridge-dam remains in service on provincial Highway #44. St. Andrews Caméré Curtain Bridge Dam was designated a national historic site of Canada because this engineering work is perhaps the only surviving moveable dam of its type in the world. The heritage value of this site is carried in the design and materials of the structure itself. Erected by the Federal Department of Public works between 1907 and 1910, it is the largest of its type ever constructed. In 1912-1913, approach spans were added and a roadway built across the bridge-dam. The approaches were modified and loading capacity increased in 1947-1949. New frame and curtain cranes replaced the originals in 1967. By that time railway and road transport had largely replaced water transport, severely reducing the commercial use of the river and canal system. Example of mid 19th-century Red River architecture, 1852-1854. St. Andrew's Rectory is an excellent example of mid-19th century Red River architecture. Outdoor exhibits interpret Red River architecture, and the roles of the Church Missionary Society and the Church of England in the settlement of the Red River and Western Canada. St. Andrew's Rectory National Historic Site of Canada is a large, two-storey, stone country home built initially as a residence for the Anglican priest of the parish. Originally constructed in 1851-54, it was rebuilt by Parks Canada in the 1980s. The rectory occupies a prominent hilltop location, close to St. Andrew's Anglican Church National Historic Site of Canada and overlooking the Red River. The grounds of the rectory have been restored by Parks Canada to reflect the landscaping of the period between 1860 and 1870. The Rectory reflects the Hudson's Bay style of architecture, which adapted Scottish building techniques to the Canadian frontier. The bold design of the rectory, its simple, clean lines, and its limestone construction are typical of this style. The wooden verandah was a French Canadian modification found throughout the Red River area. Originally built by the Church Missionary Society as part of a complex of Anglican mission buildings erected between 1830 and 1855, the significant scale and sober design of the rectory reflect the respectable image appropriate to an Anglican missionary. 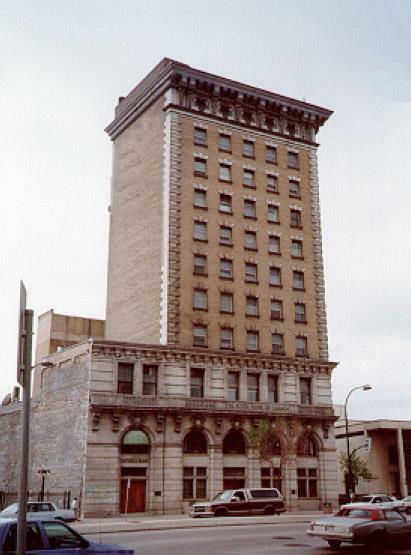 The building was dismantled in the early 1980s and rebuilt true to the style and features of the original. Situated at a prominent intersection in St. Boniface, the French-speaking mission that became an urban district of metropolitan Winnipeg, the St. Boniface City Hall is a classically styled, three- storey, red brick structure with central domed tower, built in the early twentieth century. Constructed by the William Grace Company of Winnipeg in 1905, the new city hall was carefully planned to identify St. Boniface as separate from its neighbouring municipalities in attracting population and investment. The large size and formal Classical-revival style was thought to convey the dominance, stability and optimism as a visual symbol of the small city. Yielding to public pressure after its construction, the architect replaced its original tower with the existing one in 1911. An addition was made to the rear of the building when it underwent restoration in 1988, at which time clocks were installed in the tower. When St. Boniface ceased to be a separate city on amalgamation with Winnipeg in 1972, this city hall was adapted as space for the centralized civic administration. St. Boniface Hospital Nurses' Residence National Historic Site of Canada is located in the Winnipeg neighborhood of St. Boniface. Completed in 1928, it served as both an educational facility and a residence for training professional nurses until the school closed in 1997. This five-storey brick buildings is distinguished by its utilitarian design, its symmetrical rectangular massing, regularly arranged windows, and flat roof. St. Boniface Hospital Nurses' Residence represents the recognition and development of nursing as a profession. 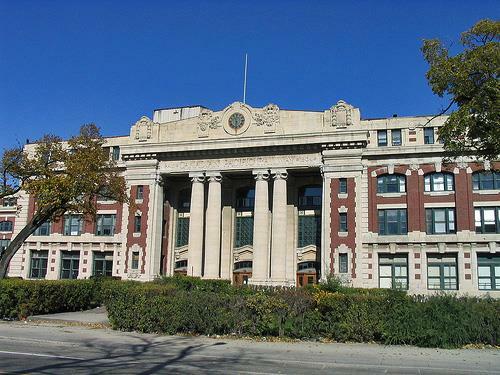 The School of Nursing at St. Boniface Hospital was founded by the Grey Nuns in Winnipeg in 1897. 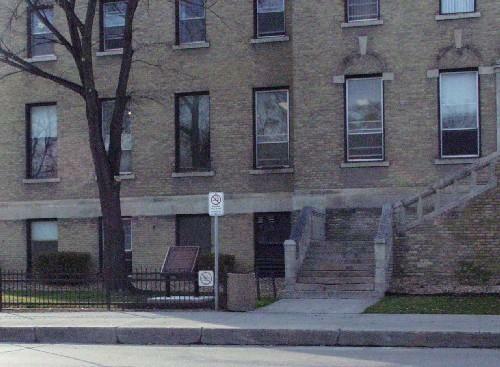 Constructed between 1927-1928, the St. Boniface Hospital Nurses' Residence was purpose built to serve the school, and contains bedrooms, recreational space and classrooms. In the school's modern classrooms, laboratory and library facilities, young student nurses received a modern, scientific education, critical to their professional careers. A movement away from housing the student nurses in hospital wings, which often exposed the students to unclean buildings, long hours and infectious diseases, purpose built nurses' residences, such as the one at St. Boniface Hospital, represented the growing recognition accorded to nursing as a profession, as well as the granting of autonomous space for women in the public sphere. Separate from the demands of the hospital, the residence provided the students with an opportunity to develop as a profession and to form an internal community of women with common work and social interests. 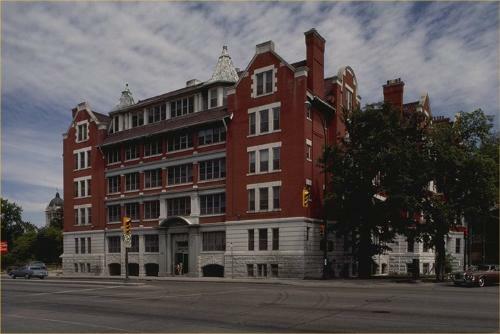 One of the best preserved nurses' residences in Canada, the School of Nursing at St. Boniface Hospital ceased to exist in 1997. Currently the building serves as the St. Boniface General Hospital Residence and is affiliated with the University of Manitoba. St. Michael's Ukrainian Greek Orthodox Church National Historic Site of Canada, located in Gardenton, Manitoba, is a small, white wooden church surrounded by farmlands built by the first group of settlers to immigrate to Canada from Bukovina (now in western Ukraine). Its distinctive massing, plan and "onion-dome" cupola reflect the Byzantine-influenced architectural heritage of Ukraine. A nearby wooden free-standing bell tower of stacked cube design was added in 1906. Forty-three volunteers from the district constructed St. Michael's under the supervision of Wasyl Kekof, a skilled carpenter from Bukovina. Adapting age-old techniques using the available simple tools and found materials, they began by cutting the logs in the winter of 1897-98. They had arrived only months before, during the first wave of migration from the western Ukraine, Bukovina and Galicia. By the time the church was consecrated in October 1899, the district was home to 250 Ukrainian families who followed either the Greek Orthodox or the Greek Catholic rites. To preserve the Greek Orthodox Church's heritage, which reflects the "Eastern Rite", with ties to the Byzantine Empire, the settlers had to rely on the memory of their modest village church architecture that was developed in the 10th and 11th centuries. The plan used here reflects this traditional link, with a series of spaces, called "frames", which lead through the three main areas towards the iconostas. In the centre frame, the largest dome opening is richly painted with gold stars on a deep blue background to inspire heavenly thoughts. The walls and iconostas in the final frame are richly ornamented with framed icons and religious furnishings all of exceptional craftsmanship. The interior remains today essentially as it was in 1915. While the church is of log construction with moss chinking and dove-tailed corners, resting on a shallow fieldstone foundation, parishioners covered the logs with wood siding in 1901. In 1906, a separate wooden two-tiered bell tower containing three cast-iron bells was built in the churchyard, also in the Bukovinian style. When the church was in need of a new roof in 1915, parishioners turned to a young local man, Menholy Chalaturnyk, who had come from Bukovina in 1905 and had learned the art of traditional Ukrainian carpentry from a neighbouring craftsman. Chalaturnyk designed and built the three cupolas, one large over the centre frame and two smaller ones over the east and west frames, in 1915. By reconfiguring the original hipped and thatched roof to this distinctive roofline, St. Michael's was brought to its present appearance. With the opening of a second church in 1934, the original St Michael's Ukrainian Greek Orthodox Church, now only used for an annual celebration in August, stands as a reminder of the rich cultural heritage and skilled craftsmanship the first Ukrainians brought to the land. 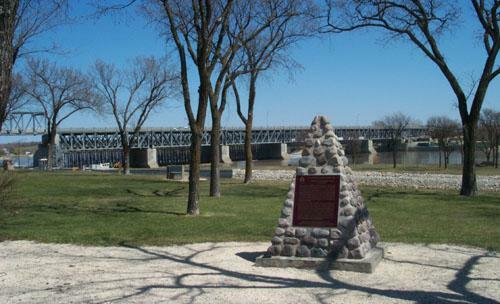 Historic meeting place, junction of the Red and Assiniboine rivers. The Forks has been a place to meet and explore for over 6,000 years. The site has been used continuously over time for transportation, trade and settlement. Its strategic location at the junction of the Red and Assiniboine rivers connected it to a vast continental network of water routes. A traditional Aboriginal peoples stopping place, The Forks was also the site of Fort Rouge, Fort Gibraltar I, Fort Gibraltar II (later renamed Fort Garry), and Upper Fort Garry. Today, The Forks National Historic Site is still Winnipeg's "Meeting Place". There are countless activities for you and your family. Play in the Variety Heritage Adventure Park or discover the 6,000-year history of The Forks on a guided tour. Try your hand as a detective and find the hidden geocache, or take a leisurely stroll along the scenic pathways. The Forks National Historic Site of Canada is an area of publicly accessible land in the heart of the City of Winnipeg, Manitoba, comprised of areas known as the South Point and North Point situated on opposite sides of the Assiniboine River on the west bank of the Red River. Historically, it was a critical river junction that has been a transportation point for many generations. Today, The Forks is a mixed-use gathering place integrating green space, recreation areas, commercial operations and parking which has been the result of the redevelopment of former Canadian National rail yards. 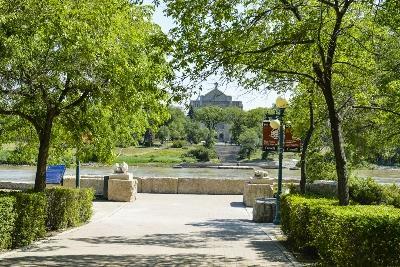 The Forks was designated a National Historic Site of Canada in 1974 because, strategically located at the juncture of the Red and Assiniboine rivers, this spot has witnessed many of the key events of western Canadian history. The heritage value of The Forks lies in the millennia of human activity to which its cultural landscape bears witness. Its heritage value is embodied in its geographical location, the evidence of past activity and the commemoration of past activity it contains, and its strategic impact upon the surrounding development. People have used The Forks as a meeting place, fishing camp, trading place and settlement for at least six thousand years. Both the Red and the Assinboine rivers have historically been major transportation corridors in western Canada. Over time, the rivers have meandered and their courses have shifted. The site commemorated as "The Forks" has accommodated significant use during two historical periods  7600 until 3000 years ago (5600 BC-1000 BC), and 1500 years ago to the present (500 AD -2000 AD). As the traditional transition area between the prairies and the woodlands, it has been a meeting and trading point for a wide range of First Nations cultural groups including Algonquin peoples from central and southern Manitoba, northwestern Ontario and Minnesota, and possibly parts of North Dakota. During the 18th century it provided an intermittent seasonal camp for Assiniboine, Ojibwa (Saulteaux), Cree and Dakota (Sioux) peoples. The first European settlement in western Canada (La Vérendrye's Fort Rouge,1736-1740s) was also located nearby. In the 19th and 20th centuries it was a staging point for western expansion and settlement: the site of fur trade Fort Gibraltar I (1810-1816) and Fort Gibraltar II (1817-1821), Fort Garry I (1817-1852), a Hudson's Bay reserve (1836- 1907) and the yards of a major railway (1888-1988). Selective archaeological investigations conducted at The Forks in 1984, 1987 and 1988 recovered 190,800 artifacts (both moveable and in-situ) including those representing pre-contact, fur trade and railway eras. The Ukrainian Catholic Church of the Immaculate Conception National Historic Site of Canada stands at a crossroads in rural Cook's Creek, Manitoba. Its substantial size and many-domed profile create a distinctive silhouette on the flat landscape of the surrounding prairie. It is a relatively unsophisticated Kievan-style Ukrainian church that features complex Byzantine massing, Depression-era materials and a folk-type handling of details. 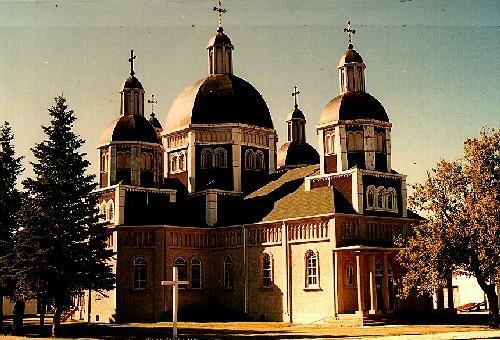 The heritage value of the Ukrainian Catholic Church of the Immaculate Conception National Historic Site of Canada lies in its illustration of the architectural work of Reverend Philip Ruh and its representation of Ukrainian-Canadian religious architecture on the Prairies. 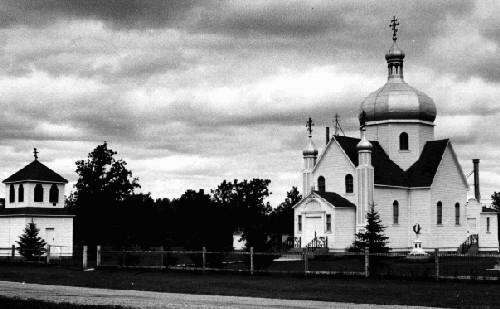 From 1930 to 1962, Cook's Creek was the home parish of Reverend Philip Ruh (1883-1962) who was responsible for designing 33 other Ukrainian church buildings in Canada, several of them in Manitoba. The church, one of Ruh's most adventurous designs, is endowed with nine domes or dome-like structures, a multiplicity of stepped masses, and accommodating side aisles and chapels in keeping with the style of the multi-domed Kievan churches that served as inspiration. The warm golden tones of the exterior walls simulate Tyndall limestone, and are accentuated with rows of red and green stars at the lower cornice levels and around the arched doorways. Inside, solid-colour areas create drama in their juxtapositions of burnt oranges, periwinkle blues, yellow ochres, and dark greens, while boldly painted bands of marbling highlight distinct architectural components, such as vault ribs and the edges of pilasters, lending the building a charming vernacular quality. 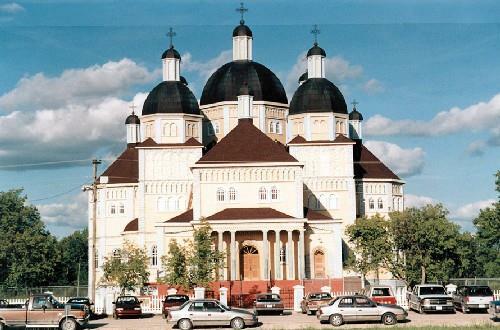 The Ukrainian Catholic Church of the Resurrection National Historic Site of Canada is a large multi-domed concrete church located in the town of Dauphin, Manitoba. Both its exuberant exterior and its strikingly decorated interior are a memorable expression of the pride and cultural values of the Ukrainian-Canadian community who built it in the middle of the 20th century. The heritage value of the Ukrainian Catholic Church of the Resurrection National Historic Site of Canada lies in its expression of Ukrainian-Canadian identity as illustrated by the forms, design and decoration of the church derived from its congregation's adherence to Byzantine Catholic iconographic traditions. The church was built from1936 to1939 by the community of Dauphin Block Ukrainians who had begun to settle in the area in 1896. It followed plans prepared by Reverend Philip Ruh, the priest of the Ukrainian congregation at nearby Cook's Creek. In attempting to be economical in the costs of its construction, Ruh experimented with concrete in order to achieve interesting textures and decorative effects as well as the strength and durability required by the Canadian climate. In 1957-1958, the interior of the church was decorated by Theodore Baran, a Ukrainian ecclesiastical artist who had immigrated to Canada. Ukrainian Labour Temple National Historic Site of Canada is located in a predominantly residential neighbourhood composed of modest homes set in the heart of the North End area of Winnipeg, Manitoba. This sophisticated early twentieth-century building features an imposing temple-like exterior with streamlined neoclassical details including a substantial cornice, limestone banding, plinths, pilasters and oversized keystones. Its rectangular plan and flat roof are interrupted by the fly loft of the main auditorium rising from the rear section of the building. The Ukrainian Labour Temple was built with volunteer labour in 1918 by the newly formed Ukrainian Labour Temple Association, as the social, cultural and educational supplement to the Ukrainian socialist movement in Canada. The association had no official affiliation with a political party, but was informally associated with the Communist Party of Canada, and its temple housed the presses of several Ukrainian newspapers, periodicals and pamphlets, in addition to printing many titles by well-known Ukrainian authors. In addition, almost immediately after its construction, the temple became immersed in the Winnipeg General Strike, serving as a nightly meeting place where strike leaders discussed the strike's progress with members of the Ukrainian community. Regardless of their political persuasion, the Ukrainian Labour Temple offered Ukrainians a familiar social environment in which they could find companionship and emotional support in their native language. Union Station/Winnipeg Railway Station is a four-storey, stone, Beaux-Arts-style railway terminal built in the first decade of the 20th century. It is prominently located at the intersection of Main Street and Broadway Avenue in downtown Winnipeg. It now houses an active passenger rail station as well as mixed-use commercial/office space. Union Station/Winnipeg Railway Station was designated a national historic site of Canada in 1976 because it was one of Western Canada's largest railway stations, built for the Grand Trunk Pacific (GTPR) and the Canadian Northern (CNR) railways in the Beaux-Arts style. Its heritage value is illustrated by the extent, layout, materials and design of the station building. 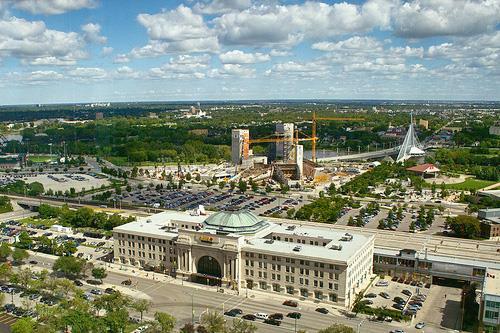 As a joint venture between the CNR, the National Transcontinental Railway (NTR), the GTPR) and the Dominion government, the construction of Union Station/Winnipeg Railway Station expressed the confidence of both the railway industry and government in the continued growth of the West. Built in 1908-11 to the designs of the New York architectural firm of Warren and Wetmore, Union Station is one of the finest examples of a Beaux-Arts-style railway station in Canada. The siting of the building also reflects the principles of Beaux-Arts urban design and a consciousness of the physical environment typical of the City Beautiful movement. Winnipeg's Walker Theatre is a three-storey masonry cube containing an early 20th-century theatre with many intact original features. The main theatre is joined to the streetfront by a two-storey projection with a distinctive, ornate façade. Located at the hub of many busy streets, it is a prominent landmark. The heritage value of this site resides in its character as a rich, safe, convenient, acoustically and visually effective auditorium for patrons, and an excellent working stage environment, in the design elements inspired by the Chicago Auditorium, and in its historical associations with the political rallies, especially those of the labour and women's suffrage movements. C.P. (Corliss Powers)Walker (1853-1942) built the Walker Theatre in 1906-07 and ran it as a live theatre until 1933. Walker hired Montreal architect Howard C. Stone and instructed him to design a fireproof theatre following the principles of Chicago's Auditorium (Adler and Sullivan architects, 1889) which was buried in the heart of a successful multi-functional commercial complex. In Winnipeg, the Walker Theatre remained the only completed component of a planned hotel/office/retail complex. the immediate area was at one time known for its concentration of theatre buildings. The two feuding movie palaces of the Metropolitan Theatre and the now-demolished Capitol Theatre were closely located at 281 Donald and #13 Donald Street respectively. The Walker Theatre was also the location of nationally important rallies, including meetings of the women's suffrage movement, particularly the Woman's Parliament of 1914, and labour movements. 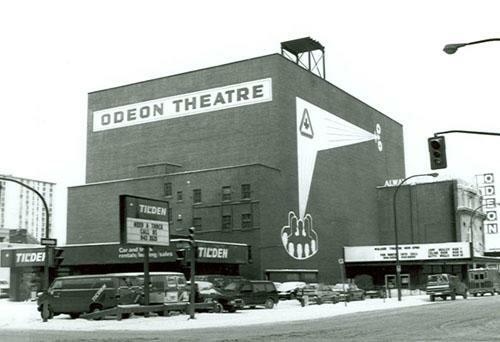 Many of the theatre's original surfaces were masked when Odeon converted it to a movie theatre (1945-1991). Purchased by the Walker Theatre Performing Arts Group in 1991, it was restored as a venue for live performance. In 2002, it was renamed the Burton Cummings Theatre for the Performing Arts. Wapusk means "White Bear" in Cree. 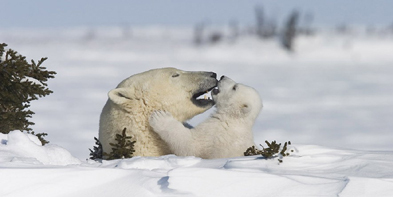 The park earns its name because it protects one of the world's largest known polar bear maternity denning areas. It represents the Hudson James Lowlands natural region bordering on Hudson Bay. The park lies on the transition between boreal forest and Arctic tundra. The geology, biodiversity, and cultural history of the area all contribute to the unique wilderness character of Wapusk National Park of Canada. Wasyl Negrych Homestead National Historic Site of Canada is believed to be one of the most complete and best-preserved example of an early Ukrainian farmstead in Canada . It is located near the town of Dauphin, Manitoba. Situated in a sheltered valley, the site consists of ten log buildings with fields and orchards situated on either side of an early colonization road. Its ten buildings illustrate rare features such as a long-shingled Carpathian roof and a fully preserved peech, the massive log and clay cookstove that was once the heart of every Ukrainian home. Wasyl Negrych Homestead was designated a National Historic Site in 1996 because dating to the beginnings of the Dauphin Block Ukrainian Settlement, it is believed to be the earliest, best preserved example of a Ukranian pioneer farm in Canada; and the house, its centre piece, is the oldest known Ukrainian dwelling in the country still on its original site. The heritage value Wasyl Negrych Homestead lies in the integrity of its cultural landscape as an expression of the settlement experience of Ukranian immigrants. Its value is illustrated by the landscape and functional disposition of the site, its setting, and the nature and composition of the early structures it contains. Wasyl Negrych Homestead was built by the family of Wasyl and Anna Negrych between 1897 and 1910, just after they immigrated to Canada and were assigned their land in the Dauphin Block Settlement. The homestead contains 10 rustic log buildings, eight of which date from this initial period of construction including the house, a bunkhouse and bake-ovens. Built of local materials, these structures reflect skills and ideas brought from Negrych family's native Ukraine. This farm, with its well-preserved landscape, now functions as a heritage site interpreting the settlement experience of Ukranian immigrants. 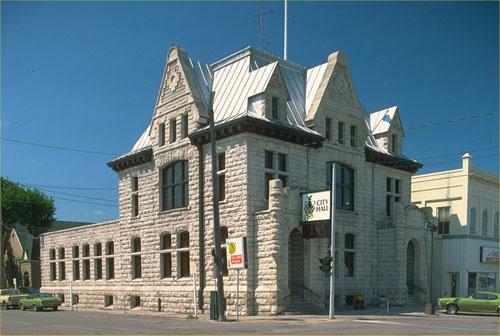 The Winnipeg Law Courts National Historic Site of Canada is located directly across from the Legislature Building in the provincial government precinct of downtown Winnipeg, Manitoba. It is a three-storey, Beaux Arts style building of sculpted grey limestone. Its monumental scale and prominent siting attest to its important role and symbolize the judicial institution of Manitoba. The heritage value of this site lies in its illustration of its judicial function and its classically-inspired design. Constructed during an extended period of great optimism in the province, the Law Courts building was designed by the Provincial Architect, Victor W. Horwood, to complement the new Legislative Building, a monumental neo-classical structure under construction across the street. Beginning in 1912, construction of the steel-framed Law Courts took four years and was timed to open in conjunction with the new Legislative Building. The formal grandeur of the classically-inspired Beaux-Arts design reflects the dignity of the Law Courts. An elaborate corner cupola with a raised copper dome ties the pedimented pavilions on the south and east façades together, and draws the eye to the columned "grand entrance" on Kennedy Street. Across the façades run a dentilled cornice and a deep parapet, all in creamy-grey limestone. The major public spaces of the interior feature grey marble floors and walls of Missisquoi grey marble swirling with subtle green tones, to a height of 2.7 metres (9 feet). Coffered squares segment the ceilings in flashes of gold leaf and soft green. The courtrooms to either side are finished with oak paneling. The building's functional design is tied to its important role. Double-loaded corridors run through each wing, with a closed U-shaped interior courtyard providing natural light to the interior. Measuring 70 by 60 metres (233 by 199 feet) with three full floors, the Law Courts provided ample space for its many courtrooms, offices, judges' chambers and a large library. Interior court rooms feature large windows, with the higher courts accessed by interior passageways so that prisoners could be brought directly into the court from holding areas below, and to provide private entries for the judges. Hudson's Bay Company's principal fur trade depot from 1684-1870's. York Factory National Historic Site is a 17th century fur trade post built by the Hudson's Bay Company (HBC) near the mouth of the Hayes River on Hudson Bay, 250 km southeast of Churchill, Manitoba. Surrounded by marsh and boreal forest, this isolated 250-hectare site includes ruins of the former Hudson's Bay compound now dominated by the company's grand Depot building. The heritage value of York Factory lies in the legibility of its landscape and surviving resources as a major Hudson's Bay Company fur trade post. Established in 1684 and briefly managed by the French from 1697 to1714, it had become the most important fur trade post on Hudson Bay by 1730, and the major storage, manufacturing and distribution centre for the company's many other posts in the northwest by the end of the 18th century. During that time, York Factory existed in three iterations. York Factory I (1684-1715) and York Factory II (1715-1788) were situated on the north bank of the Hayes River and have disappeared due to erosion of its banks. York Factory III (1788-1957), established by Joseph Colen in 1788 on a higher land upstream from its predecessors, is the compound that remains today. Consisting of over fifty buildings at its peak in the 19th century, only two buildings, two ruins, and a cemetery are now visible. York Factory closed as a fur trade post in 1957 and is now operated by Parks Canada as a national historic site.